You may wish to edit the description of a Post which you have already scheduled and added into your queue. Its simple really, just keep in mind that you won't be able to make changes to all similar Posts like it at once- so be sure to save your work as you go and check that all the Posts you want to edit have been edited already. 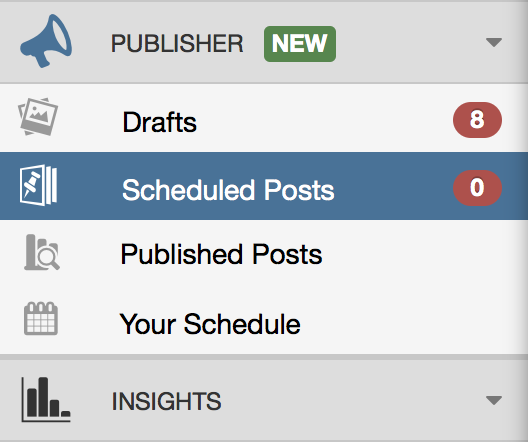 Go to the Scheduled Posts page (located in the pop-out menu in the left hand navigation). 2. Under Scheduled Posts on the Left-Side, navigate to the desired Post to be edited. Helpful Tip: Use the Right-Side "Your Schedule" to find the thumbnail of the Post, click, and the page will drop down to that Post on the Right-Side to edit. 3. Click on the description area of the Post (otherwise known as the post caption) and a textbox will appear for you to make changes. 4. Click the green "Save Changes" button and the new description will be saved!